These rooms can be used for meetings and seminars or additional space to extend your event footprint. 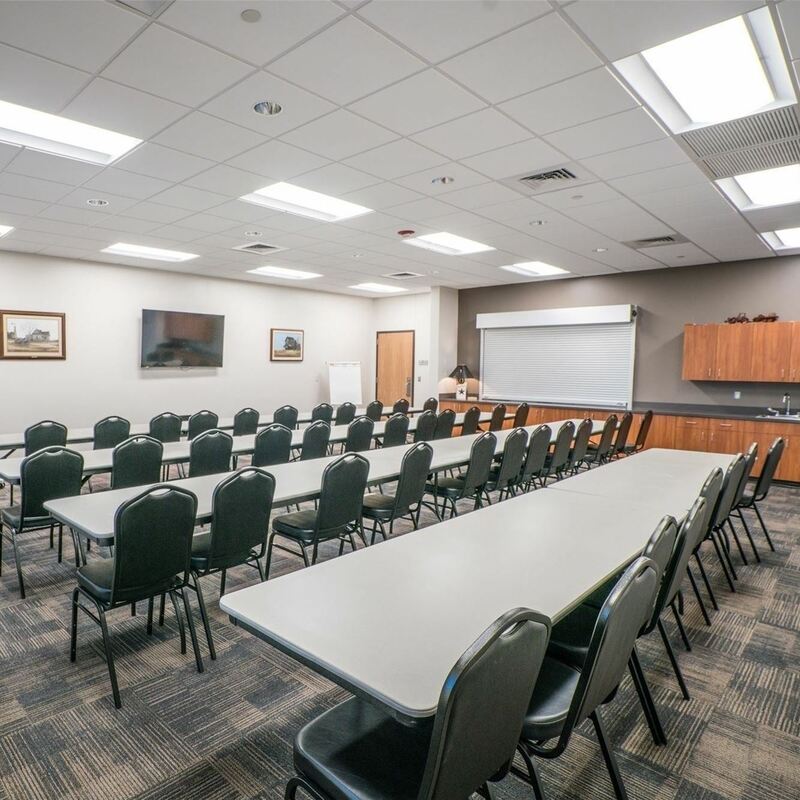 The Ron Morrison Meeting Room and Keith and Marcia Hagler Conference Room offers the most rental flexibility at the Wilco Expo Center. The rooms can be rented for the entire day or hourly, with a two hour minimum rental. We provide professional, on-site support during your event. Our Events Specialist, will help plan your next event here at the Expo. The spacious 943 sq. ft. Meeting Room comfortably seats approximately 55 attendees, depending on set-up style. The space offers connectivity to a large TV to deliver presentations or display event sponsor’s logos. There is direct access to the Catering Kitchen through a doorway and a window to provide feeding your guest with ease. When renting the Meeting Room, the tables and chairs are included in the rental. Keith and Marcia Hagler Conference Room The Conference Room is furnished with eight leather office chairs around a 12ft granite conference table. 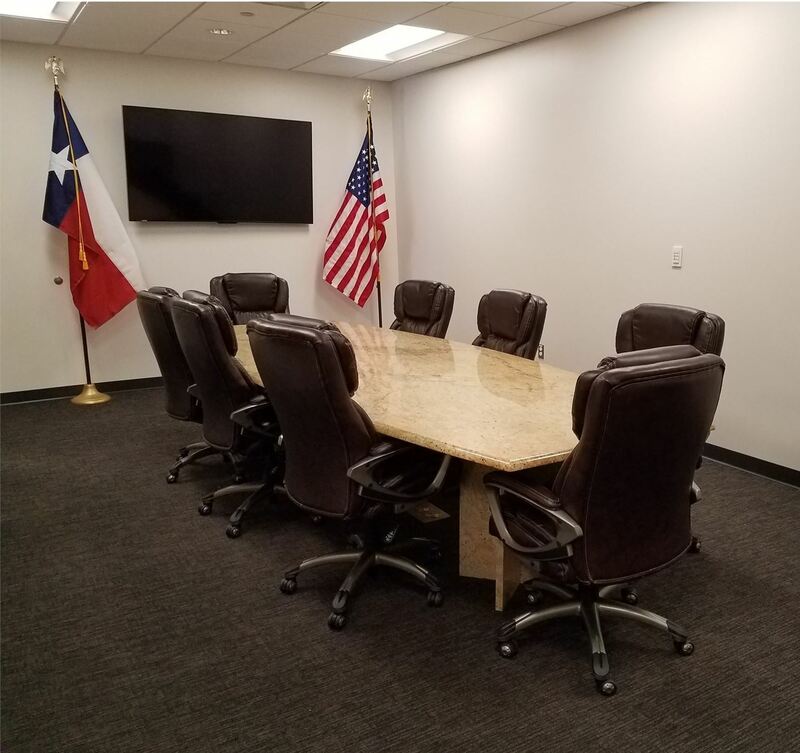 The quant Conference Room offers seating for eight guest around the 12ft granite conference table. Wall connections offer easy hook-up to the TV screen from a computer to give presentations. Access to a telephone with teleconferencing functions and speakerphone. There is also a counter with a sink in the back of the room for guest use.